AND his song, "Never Too Much (Too Much Money)"! T. Seinfeld (Theren Markus Tucker) is a 22 year old Hip-Hop/R&B artist from Fostoria, Ohio, heavily influenced in his music by artists such as Kanye West, Travis Scott, Frank Ocean and Wiz Khalifa. Music came early for Seinfeld being a member of Fostoria Schools band in the percussion section from 5th grade to high school graduation. In his senior year of high school (2012-2013), he began recording music at home making remixes of other popular songs and now as an online student earning his Audio Production certificate at Full Sail University, he writes, records, mixes, and masters his all-original music himself. "The Stars Were Crazy Last Night"! Find him on Twitter, Instagram, and Facebook: @tmarkustucker! His music is available on Soundcloud, Audiomack, and YouTube! 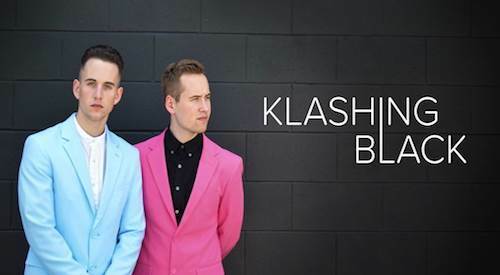 Klashing Black is an Alternative Pop duo featuring twins Kane and Kyle Benner based out of Fostoria, OH. Taking inspiration from bands like Imagine Dragons, The Killers, and Coldplay, Klashing Black plans to make original music and play it for a living. The unorthodox two-piece band of twin brothers Kane and Kyle Benner brings a sonic and visual difference to any local show, and packs an energetic and emotional punch at the same time. 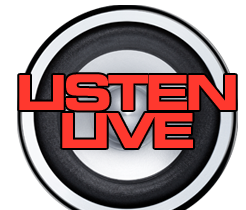 Klashing Black is on Twitter, Instagram, Facebook, and YouTube, and their music is available on iTunes, Spotify, Google Play, and Rhapsody. AND "Today", a song off their new EP, "You"!